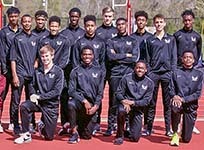 PEARLAND — The District 23-6A track meet was held at the Alief ISD Crump Stadium and the Pearland Dawson Eagles returned home with the district trophy after scoring 134 points to edge Richmond George Ranch who placed second with 121.5 points followed by Pearland (98), Alief Taylor (92.5), Alief Hastings (74), Brazoswood (53), and Alief Elsik (44). 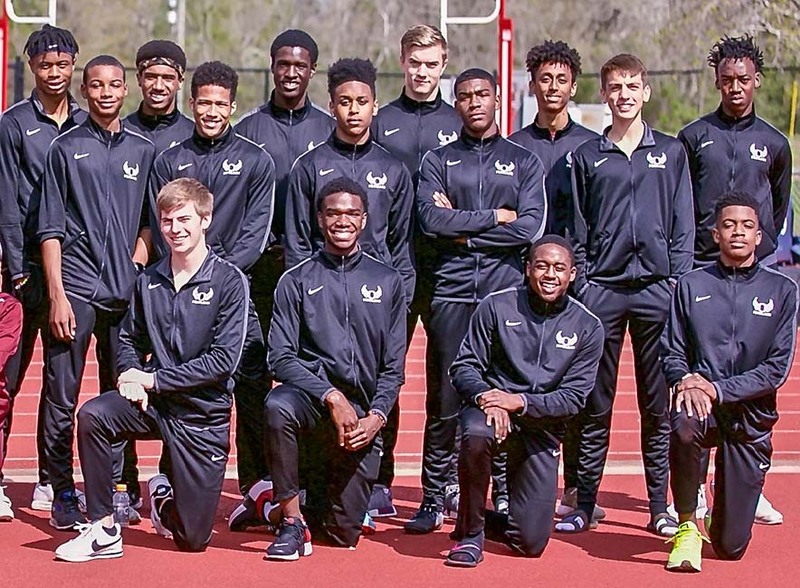 Dawson was led by speedster Jacolby Shelton who was a triple-gold medal winner as he won the 100 meters (10.73) and the 200 meters (21.27) while also running a leg on the winning 4x100 meter relay team. Jonathan Cedillo won gold after winning the 800 meters in 2:00.41. Kyle Stacks won the 1600 meters in 4:26.98 and finished in second place in the 3200 meters in 9:48.34. The 4x100 relay quartet of Marco Jackson, Myles Kitt-Denton, Bobby Wooden, and Shelton captured first place with a blazing time of 41.09. Michael Bogues won the discus with a throw of 149-03. while teammate Jake Allison placed fourth with a distance of 138-08. Christopher Ruffino placed second in the pole vault at 12-06. Myles-Kitt placed fourth in the 100 meters (11.1) and the 200 meters (22.24). Frederick Lewis placed third in the 400 meters (48.12). Kellen Gavion placed third in the shot put with a heave of 45-11 while teammate Caleb Perez tossed it 45- 10.25. The Pearland Oilers also had a strong showing with 98 points for third place. Getting a gold medal for Pearland was sophomore Caleb Malbrough who won the triple jump at 46-7.75. The Oilers were strong in that event as Trace Johnson placed third with a jump of 45-00.25 and Malcolm Linton was fourth at 44-3.75. The race of the meet was between Dawson's Kyle Stacks and Pearland's Alphonso Tyler who was nipped at the tape in the 1600 meters with of difference in time of 4:26.98 to 4:26.99 giving the Oilers the silver medal. Tyler reversed the finish when he beat Stacks in a not as close 3200 meters with a winning time of 9:48.34 to 9:52.33. Evan Burgess had a good showing in the hurdles as the senior finished third in the 110 meter hurdles (15.92) and third in the 110 meter hurdles (15.58). Robert West was second in the long jump at 23-5. Rashaad Hammond was second in the high jump at 6-00. Jaret Porterfield was third in the discus at 142-4. Cole Burgess placed third in the pole vault at 10-0.